I love March. Temperatures start to rise, snow can begin to fall and rumors of another impending sale of the ski resort begin to float through the community. March is the time when we begin to take stock of the season before the season ends. It hasn’t been one of the top ones. Snow came late and not in any huge quantities but the terrain that is open is skiing great. It appears that the number of people coming off the airplanes to hit the slopes will be down from last year. There is nothing good about that trend. As much as I enjoy having what amounts to our own private ski area, I miss the energy of lots of people mingling on the slopes, on the streets and in the businesses. 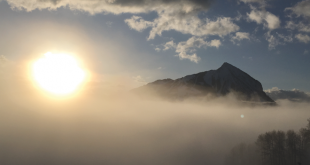 When every magazine piece about Crested Butte mentions the lack of lift lines, that’s like complimenting a bar because no one ever goes there…and that’s not necessarily a bar that you want to search out to experience a fun time. 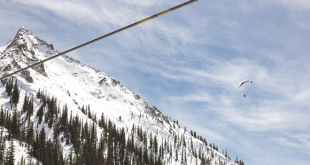 *Hearing again that the ski area is somehow under contract and being looked at under due diligence from a Vail or an Intrawest or a former Dallas Cowboy great doesn’t mean much. It’s spring and it’s one of the three or four times each year the ‘CBMR is about to announce a sale’ rumor comes up. Whether it is true or not (and pretty much everything around here is for sale at the right price so there is always a kernel of truth in that rumor), the bottom line is that for whomever is running the ski resort, it is a tough row to hoe. 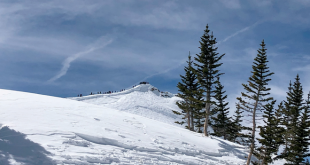 Without some tweaks to the product and the product-to-value ratio that will attract people, there will be less and less people getting off the planes to ski here…no matter where the planes are landing. Give the people a reason to want to get here (and come back to) and airline seat numbers won’t be an issue. *When you do something right but still get spanked, it’s unfortunately a lesson in unfairness, bad decisions and frustration. Sage Grouse is an issue we follow at the News but haven’t focused on at this end of the valley. But recent indications that the feds want to now list that bird as an Endangered Species would be devastating to parts of our community. That’s why there has been a local working group dealing with the issue for years to keep the bird population healthy in the county. And by all accounts, it has worked. We as a community have spent money, time and thought to keep the bird population strong. And when you do everything you can to drive a goal to a successful endpoint but still get the shaft, it reinforces the anger everyone can have with government. The U.S. Fish and Wildlife Service is seemingly ignoring our success for a quick, but painful fix. It looks like the feds are basically responding to pressure from national enviros who are pushing for an endangered species listing. Thus, the service is ready to ignore significant, successful results. Ultimately, that decision could kick local cattle off public lands used for grazing and makes the local ranching business impossible. It could kick recreationalists off local trails. If either of those things happen it spells trouble for our valley. Look for ramifications that could result in the drying up of the local ranches as big cities swoop in to purchase the ranchland and, more importantly, the senior water rights. The move could also put a crimp in summer biking and hiking and put the brakes on any development in the county. Reading an opinion piece in last week’s New York Times advocating the listing of the Sage Grouse under the Endangered Species Act was irritating in its focus on an overview with no credit given to the boots on the ground that the County and local ranchers have implemented in its successful conservation efforts. When you do something good that turns out well and still get a penalty, it is time to scream…or at least start legal measures that make everyone look at reality before making decisions that impact real people. A public meeting on the issue is being held Thursday at 7 pm at the Fred Field House in Gunnison. *I guess it’s the time of year to be thinking about the November ballot. A couple of quick ideas have been thrown out into the general ether recently about the possibility of local tax increases. There has been mention at the school district to help with shortfalls and at the RTA to potentially help fund the continuation of jet seats into the area. Frankly, neither excites me at this early stage. Just sayin’. I don’t have a ton of extra dough in the wallet waiting to go toward more taxes. It would take a really strong argument to convince people to raise their taxes this fall. In the meantime, it is March and there is less than a month left for lift served skiing. Hopefully the days will all be sunny and warm and the nights full of dry and copious powder.